If I was not the sweet, gentle soul you all know and love I would have put that worthy in a serious headlock and informed him that the book the movie JOHN CARTER is based on, “A Princess of Mars” was written back in 1912 by Edgar Rice Burroughs who just about created the sub-genre of science fiction which could well be termed “Sword and Planet.” With his series of novels set on the Red Planet, Mr. Burroughs also created a template for heroic adventure fiction that has has been homaged, borrowed, copied and downright stolen from then until now. John Carter is the great-great grandfather of dozens, if not hundreds of heroes in comic books, novels, movies and television. Not to mention the influence the books has had on writers, artists and scientists. Most American astronauts will claim “A Princess of Mars” along with “Star Trek” as the major influence in them wanting to be an astronaut. The importance of Edgar Rice Burroughs, his creation of John Carter and his vision of Mars simply cannot be overstated. But that’s enough of the history lesson. You’re here to find out if I think JOHN CARTER is worth your time and money. Okay, for a change I won’t make you read the whole review to find out. Yes. JOHN CARTER is most definitely worth your time and your money. Not having read the book in quite some time I’m not going to swear to the faithfulness of the adaptation but most of the major scenes rang true to me and they’re what I wanted to see and I wasn’t disappointed. John Carter (Taylor Kitsch) is a former Confederate Army soldier who goes west to prospect for gold after The Civil War and finds a whole cave full of the stuff. He also finds trouble from a Union Captain (Bryan Cranston) and some bloodthirsty Apaches. This leads to Carter being trapped in the cave and transported to Barsoom, which is what the inhabitants of that planet call Mars. The bewildered Carter is captured by Tars Tarkus (Willem Dafoe) the Jeddak (king) of the Tharks, the fierce Green Warriors of Barsoom. Standing some seven feet tall with tusks, and a double torso with four arms, they are the first clue to the bewildered Earthman that he isn’t in Virginia anymore. But it’s not as if Carter is entirely helpless. Due to the lesser gravity of Barsoom and his denser bone/muscular structure he has the strength of a hundred men and is able to leap incredible distances. Meanwhile, over in Helium which is home to the human looking Red Martians, they are realizing that they cannot win their long war with their hereditary enemies, the Zodanga. Arraignments are made to marry the Princess of Helium, Dejah Thoris (Lynn Collins) to Zodanga’s ruler, Sab Than (Dominic West). The sheer joy of seeing a major motion picture based on anything written by Edgar Rice Burroughs probably prevents me from seeing any flaws in the movie. Taylor Kitsch wouldn’t have been my first choice for John Carter but after seeing him I don’t know who else could have played the role so well. He commits himself fully to the story and the character and there was never a moment he wasn’t convincing. 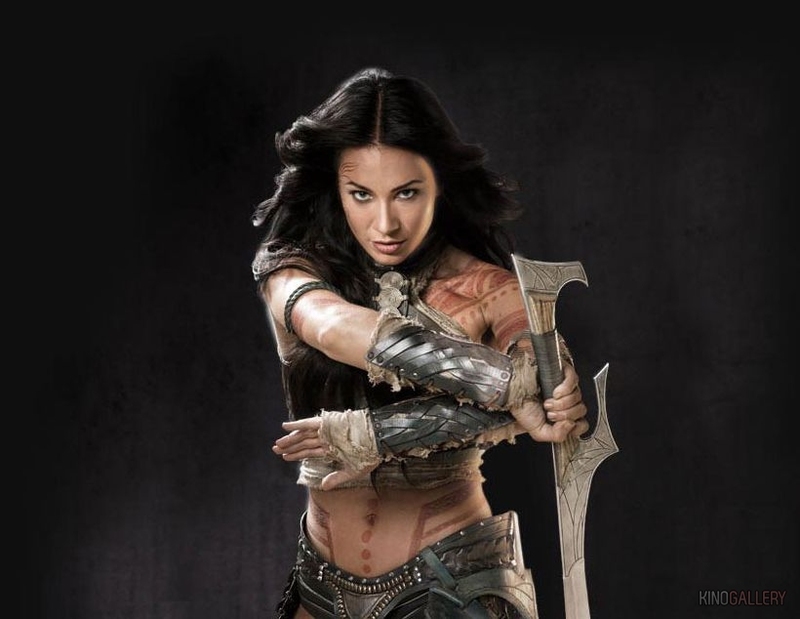 As Dejah Thoris, Lynn Collins has a lot to live up to as Burroughs described her in the books as being so impossibly beautiful that any real woman would have a hard time fulfilling that description but she does the job admirably. And her role in the story is fleshed out considerably by having her be a scientist/swordswoman as well and not just a princess to be rescued. Willem Dafoe as Tars Tarkus and Thomas Haden Church as Tal Hajus, a rival Thark warrior do a superb job of giving the giant green warriors personality but Dominic West’s character could have been a better villain. He’s little more than the errand boy for the Holy Tharns but West is such a good actor, I’m willing to let it go. And maybe it’s just my thing, but when a movie costs as much as JOHN CARTER, I appreciate seeing it up on the screen and I certainly did. This is a big-budget movie that actually does look like a big-budget movie with some really astonishing sets and eye-popping locations. This is how a larger than life movie with larger than life characters is supposed to look. Not like a TV movie on steroids. Bottom line: I liked JOHN CARTER a lot. It’s a movie made by talented folks who respect the source material and delivered what I was looking for and that’s more than enough for me. Enjoy. I highly enjoyed this movie. It’s far from perfect, but it was damn entertaining. Sold. I will see this movie based on your recommendation. Agreed. There were some parts where the action slowed down so much that the momentum of the film damn near lurched to a halt, forcing the director to have to ramp back up the energy level. But he managed to do so quite admirably. 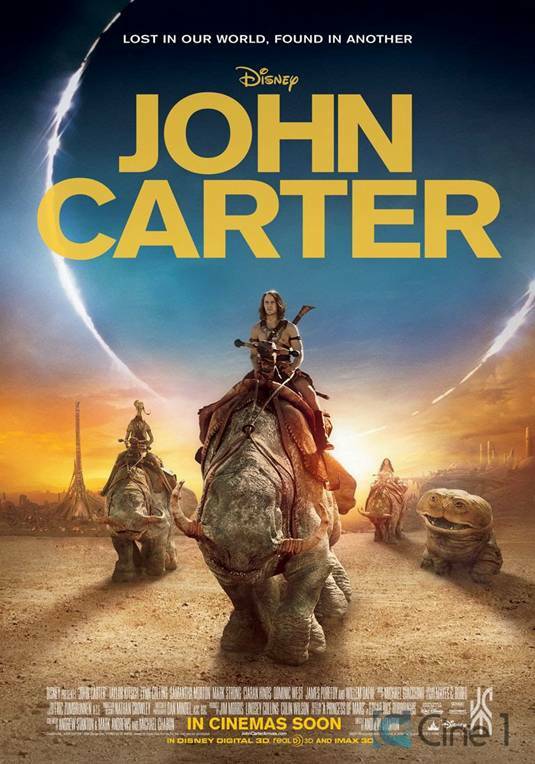 And at the end of the movie you understand why this first movie is called simply JOHN CARTER. And who doesn’t like a hero who has a dog? I predict every kid who sees this movie is gonna want a Woola. Despite occasional moments of silliness, the old-fashioned sense of adventure and brilliantly rendered aliens elevate this above other derivative big-budget sci-fi fare. I still wished that Kitsch did a lot better in this lead role but he was only there for eye-candy really. Good review Derrick.